When have you last heard that it was okay to eat more fats? Well this week’s article includes a recommendation to do just that, increase your consumption of fats….but NOT JUST ANY FAT. Before you run off and super-size your fries, you’ll want to read this article. We’re talking about a different type of essential fat. The term “Essential” means simply that this fat is a required nutrient for proper function and health in humans. Unlike many fatty acids, essential fatty acids cannot be produced by the body (Omega 3 and Omega 6), they need to be consumed either through diet or supplementation. In our earlier articles, we discussed how the modern diet has changed over the years, and the simple truth is, almost all of us require supplementation. In fact, there are two supplements that I recommend for everyone: one is probiotic supplementation, and the second is fish oil (essential fatty acid) supplementation. – enables the body to produce prostaglandins – a hormone like substance found in all cells which supports heart function, immune system function and muscular and skeletal structures. For the above reasons, I recommend supplementation with a fish oil. These are rich in the Omega 3’s and 6’s in the form that the body needs and can directly assimilate. 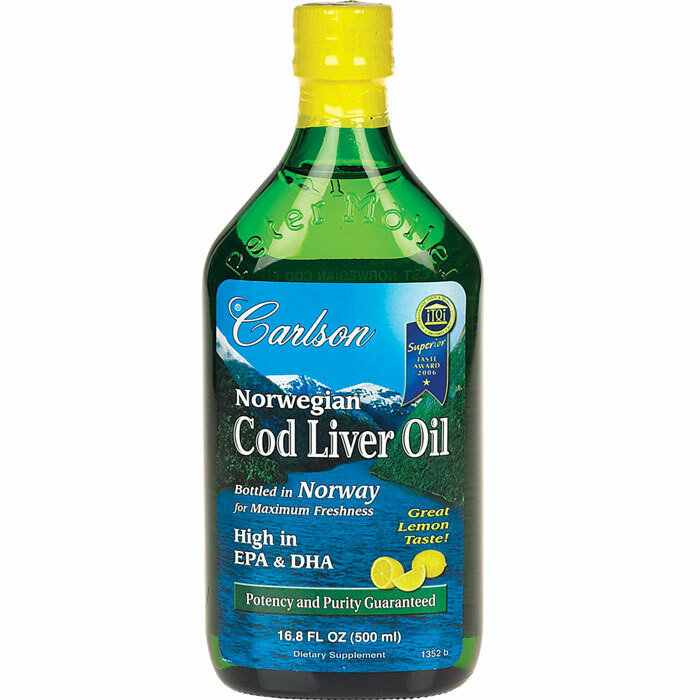 Over the years, we have tried different brands and my recommendation today is the Carlson’s Cod Liver or Fish Oil. This product is also rich in Vit. A, D3 and the EPA and DHA we referred to. While I am sure there are other great products out there, I recommend this one product because it is the one that I and others whom I respect in the health field use. It’s purity and manufacturing standards are unquestioned. This is very important when it comes to fish oils because you want to make sure that it is free from mercury, cadmium, lead, PCB’s and other contaminants that can harm your health. This product is available in our office. A final point of caution, if you are using another manufacturer’s brand (liquid or capsule), make sure that when you open the container that you can’t smell the fish. If you can, Don’t Take the product. You will use all your antioxidant stores just to deal with the rancid fish oil.